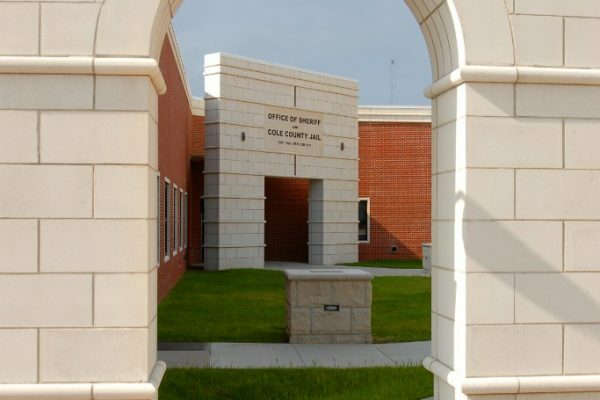 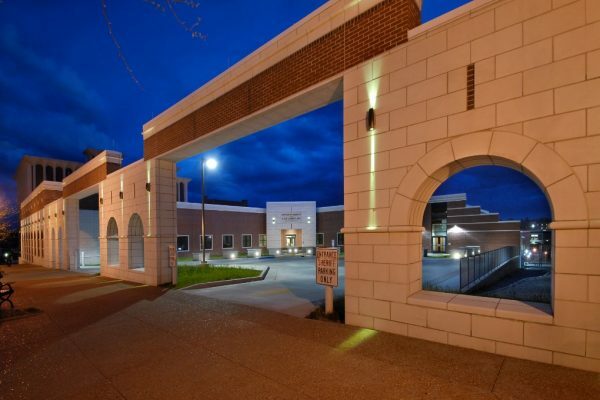 Cole County Jail - The Architects Alliance, Inc. The new facility located in downtown Jefferson City on a site in the eastern half block area bordered by East High Street, Adams Street, and East McCarty Street. 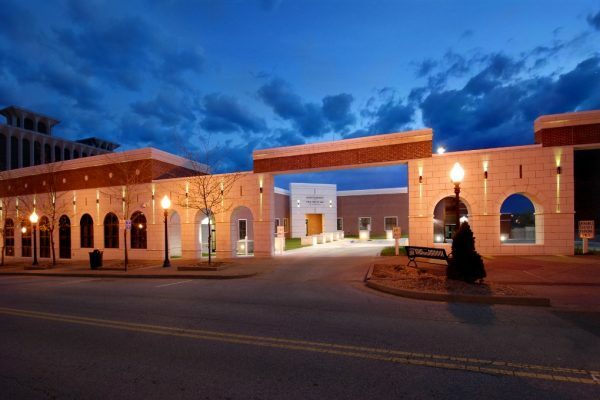 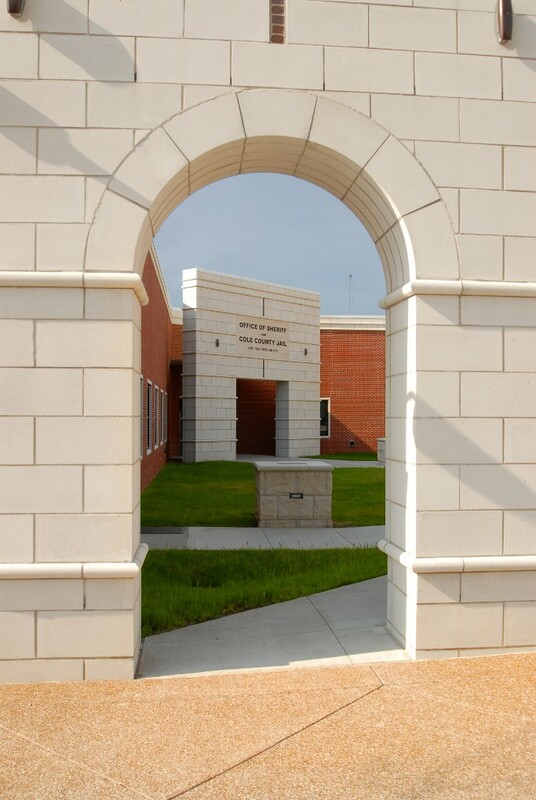 The facility is comprised of two main building components including a two-story Sheriff/Law Enforcement Office Center on the upper portion of the site and a two-story Jail/Detention Building over a secure basement parking & storage garage on the lower portion of the site; with the two components connected by an enclosed vehicular & pedestrian walkway sally port. 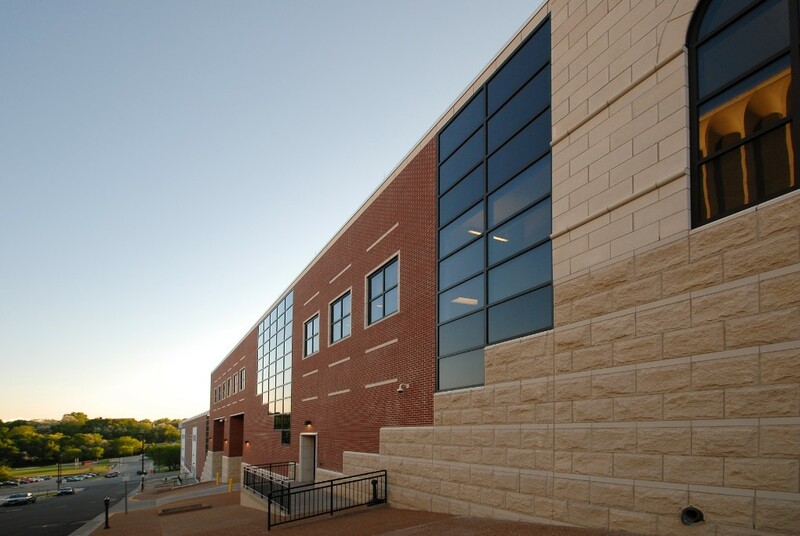 The Jail/Detention facility was designed and sized to accommodate a future two-story Jail/Detention Level.